Packaging Details: 1. Packed in paper cartons firstly and then secured on wooden pallets. 2. All pallets are well packed with packing belts and well wrapped with stretch film. 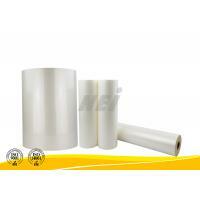 Glossy PET Thermal Lamination Film has excellent clarity and processability on a wide range of machinery. Its surface has some certain level of scuff resistance and good stiffness, so it is widely for a variety of printed packaging and media, such as wine boxes, show trade display, photos and photo albums, etc. 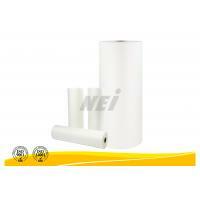 After lamination, the film surface is suitable for spot UV and screen printing. 22 micron PET thermal lamination film can be used to laminated on the lefthand sides of blank lecture note sheets in order to protect paper from damages or being tored. 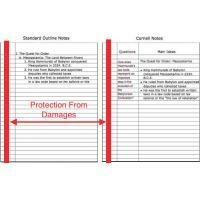 Blank lecture note sheets are widely used in oversea high shcools and universities. 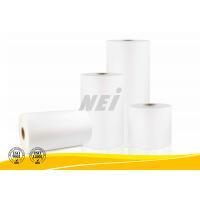 Why chooses NEI PET thermal lamination film? 7. 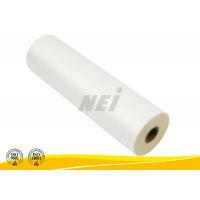 The minimum width is 14mm, specially designed for lecture note page lamination. 1. 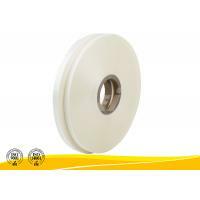 NEI has professional experience in film industry since 1995 so we have good quality control and after-sale services to support you. 2. 10 yeas of export experience to many countries, including South America, North America, Middle East, Asia, Africa, Oceania, etc. so we have good reputation in these areas. 3. Compared with other thermal lamination film, our EVA glue is 100% imported from Korea and it ensures the adhesiveness of our film. 4. Customize size and thickness according to customer requests. Labels can be customized as well. 5. Rapid production and delivery. 6. 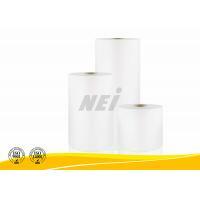 A wide range of thermal lamination film and special films. 1. 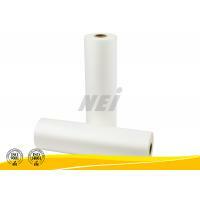 NEI glossy PET thermal lamination film is suggested to be laminated with the roller temperature range of 85 to 110°C and roller pressure of 10 to 20 Mpa. However, the optimum conditions are depending on the selected laminator’s speed and dimensional stability. 2. It is advised that the printed surface is well dried before lamination and cools sufficiently one surface before laminating to other surface. Guangdong New Era Composite Material Co., Ltd. is one of the top manufacturers for thermal lamination film in the world. 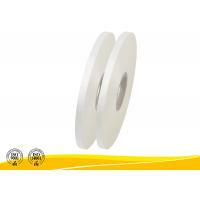 We have been engaged in the business of plastic films for Printing & Packaging industry since 1980. In 2001, the company named Chaoan New Era Industrial CO., Ltd. was formally established. We introduced advanced technology and 6 units of automatic production machineries, and started our own production of new types of thermal lamination film that is environmental friendly. In March 2016, the company conducted shareholding reform and has changed to GUANGDONG NEW ERA COMPOSITE MATERIAL CO., LTD.
We have the new plant with an area of 10,000 square meters, a plant construction area of 23,000 square maters. We have developed our four management principles, including ‘quality and efficiency, innovation and development’. Based on these management principles, we have constantly improved the internal management, and have passed the Chinese Environmental Labeling certificate (Ⅱ type), ISO9001-2008，ISO14001-2004, the national packaging product quality supervision and inspection, SGS, and the test of 2008 American consumer goods specified test parts. 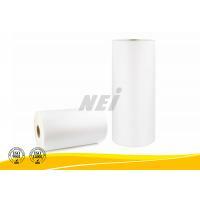 As the first domestic pre-coating film production companies, New Era Composite Co., Ltd. has been serving the high-end domestic market and foreign markets as well. We continue to maintain good long-term cooperation with well-known brands all over the world because the market recognizes all our products’ quality, performance, price and services. NEI (H.K.) 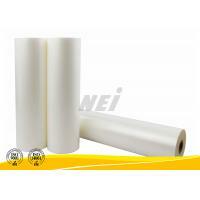 Int'l Co., Limited is the subsidiary company of Guangdong New Era Composite Material Co., Ltd. NEI (H.K.) Int'l Co., Limited is focusing on sales of thermal lamination films while Guangdong New Era Composite Material Co., Ltd. is focusing on production of thermal lamination films.